China on Thursday fired off a fresh volley of complaints against recent US decisions which alleged that Beijing was implementing unfair trade practices. Beijing’s Ministry of Commerce targeted its criticism in particular at Section 301 of the 1974 US trade law, which allows US trade representatives to act without World Trade Organization authorization to investigate Chinese trade practices. “China is deeply concerned with the new accusations, and urges the US side to stop making statements or moves that are destructive to bilateral economic and trade ties,” Ministry spokesperson Gao Feng told reporters on Thursday. 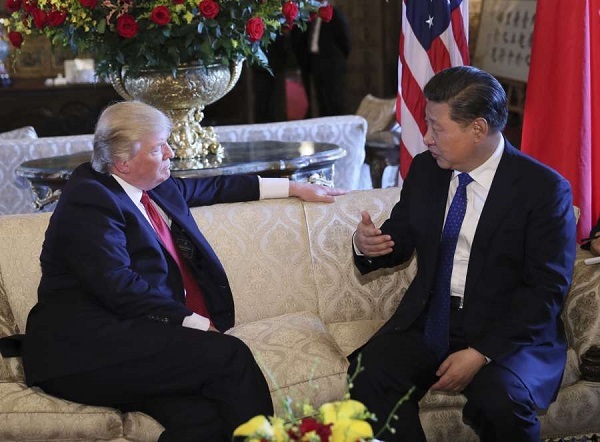 US President Donald Trump, who is due to meet Chinese President Xi Jinping at the G20 Summit next week, has long claimed that China has taken advantage of the US. Using this provision, Trump has accused China of unfair measures limiting US commerce in China. Trump has also long accused China of “discriminatory” technology transfers from the US, as well as intellectual property violations. The Office of the United States Trade Representative recently upgraded its Section 301 investigation to support Trump’s claims on China’s technology transfer, intellectual property and innovation policies. “By putting domestic laws above international laws, the United States has broken its commitment to all members of the World Trade Organization and has disregarded and damaged multilateral rules of the World Trade Organization,” Gao said. The Chinese Ministry of Commerce had in August 2018 filed a complaint with the World Trade Organization against the second phase of US tariffs on $16 billion worth of Chinese goods. The Ministry of Commerce said that it is pursuing a resolution through the WTO dispute settlement mechanism, in order to protect “its legitimate rights and interests”. It says that the US has violated WTO guidelines by imposing tariffs on Chinese trade. In the meantime, Gao said that China would examine the potential impact from a US proposal to increase control over technology exports. “[We] will take necessary measures according to the situation and safeguard legitimate rights and interests of Chinese businesses,” he added. China and the US have since last May been engaged in a trade war to the tune of hundreds of billions of dollars. This has raised fears that many companies and smart technology enterprises in the US who manufacture their wares and products in China will ultimately be adversely affected.